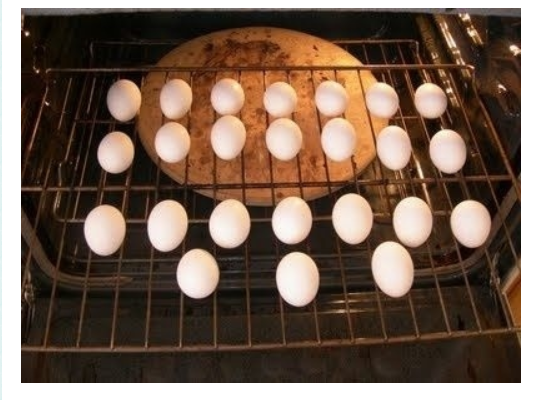 Position the oven racks in the center of the oven, then arrange the eggs in a mini muffin tin or directly on rack. Set the oven to 325 degrees F and bake for 30 minutes. When the eggs are done fill a large bowl with ice water and move the eggs into a bowl. Peel the eggs as soon as they are cool enough to handle, then return them to the ice bath to thoroughly chill.